We are proud to announce about Lubrita marketing activities and sponsorship! Racer Mr. Dziugas Kazakevicius this weekend ( date 08 12 2018) attending in Super Enduro World Championship stage in TAURON ARENA - Krakow, Poland. 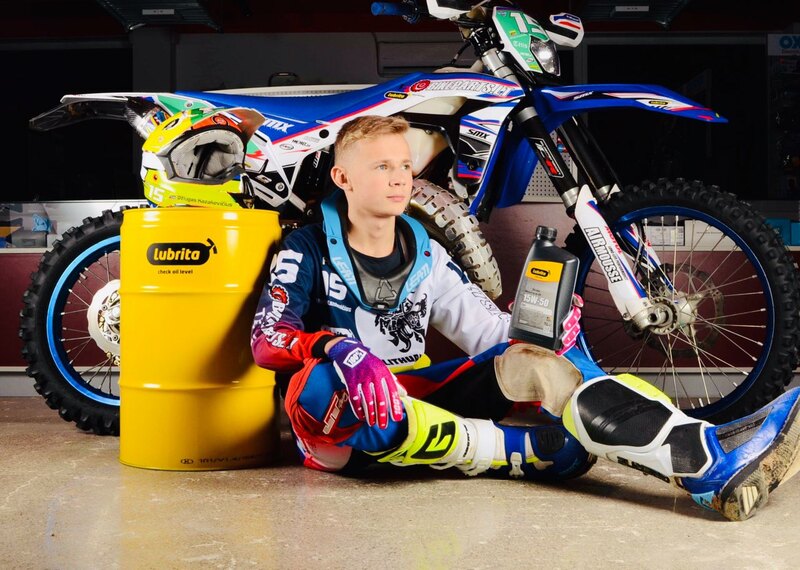 Lubrita Europe B.V. and company Bikeparts Lithuania Ltd.in close cooperation supporting young racer in most competitive endurance competition race! We are all wishing huge success to Dziugas!